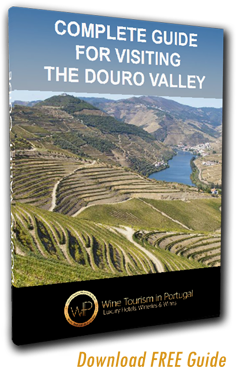 Recognized by UNESCO as World Heritage Site since 2001, Douro Region is the oldest Wine Demarcated Region in the world, stretching through an area of more than 40 000 hectares. In a five-day tour you will have the opportunity to visit some of the most famous Douro and Port wine producing estates and taste the flavours of this fantastic region. The Private Driver/guide is waiting for you at Porto Airport (OPO) or City of Porto in a deluxe vehicle. We will take you to visit one of the most beautiful and unique landscapes in the world. You will be accommodated with the maximum comfort. 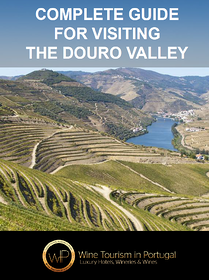 You can choose to stay in a Wine Hotel or in a Luxury Resort in the Douro Valley. Wake up to the beautiful Douro landscape and recharge your batteries with a fantastic breakfast. The Private Driver/guide is waiting for you in the Lobby of the Hotel. Quinta da Pacheca, one of the most known properties of the Douro, stands out for having been the first to bottle wine under its own brand. The first reference to the Quinta is in a document dated of the 17th April 1738, where it is called "the Pacheca" because its owner was then D. Mariana Pacheco Pereira. You will be guided by the Quinta and you will get to know its history, as well as the Vineyards, "Lagares", Old winery, Wine cellar, the wine-making processes of the wines of Pacheca with tasting of 2 table wines and 2 Port wines. Then, you will have a cuisine workshop, led by the Chef of the Pacheca Wine House Hotel. This is a great way to relax, learn and enjoy the richness of the appetizers and "petiscos" of the Portuguese gastronomy. With this activity it is intended that you will interact with the Chef participating in the making of the meal, learning or developing your knowledge for the food. In the end, you can taste the dish made. After lunch, discover the Quinta do Vallado Winery. Quinta do Vallado belonged to the legendary Dona Antónia Adelaide Ferreira and remains to this day as property of her descendants. It is located on the banks of the River Corgo, a tributary of the Douro River, right next to the river mouth near the town of Peso da Régua.For nearly 200 years the Quinta do Vallado was primarily engaged in the production of Port wine, subsequently marketed by Casas Ferreira (that belonged to the Family).After Dona Antónia Adelaide Ferreira, her great grand-son - Jorge Viterbo Ferreira and her great-great grand-son - Jorge Cabral Ferreira - were responsible for the great development and growth of the Quinta. The new barrel cellar, with high-quality architecture, built in 2009, combines the latest technology with a high quality architecture that makes this Quinta one of the places to visit in the Douro Valley. You will have a Tour in the Winery and Wine Cellar with a Vallado Wines Tasting. Your dinner will take place at Castas & Pratos, a luxury restaurant located in an old railway station, in Régua, near Quinta do Vallado, with a refined wine list. The concept of Castas e Pratos is to be more than just a Restaurant, it is a Wine Bar, a Lounge and a Wine Shop, "a five in one”, where the taste, the smell, the sight, the touch and the hearing, and one or more other sense, work together to offer you a unique experience. Several are the awards, international and national, that prove the unique quality of this restaurant, in publications such The New York Times. The Private Driver/guide is waiting for you in the Lobby of the Hotel and will take you to two of the most important Quintas in the Douro Valley. The first stop will be at Quinta do Crasto. Located on the right bank of the River Douro, between Régua and Pinhão, Quinta do Crasto is owned by the family of Leonor and Jorge Roquette for more than a century. Its origin dates back to the 19th century. The first known references date back to 1615. One of the greatest acknowledgments came in 2008, when Wine Spectator, an international reference of the sector, considered Quinta do Crasto Reserva Vinhas Velhas 2005, coming from vineyards with 70 years, the third best wine in the world that year, giving it a rating of 95 in one hundred points. Since then, this wine has always been in the Top 100 of the American publication. Here you will visit the vineyards, including the famous old vineyards of Quinta do Crasto, a winery and a barrel cellar, where the Premium table wines and Port wines are staging. Then you will have a tasting of 5 wines, duly presented by a manager of Quinta do Crasto, who will guide the visitor through the experience. After the experience, enjoy the menu and views of the Conceitus Restaurant. Here, the menu appeals to the senses and emotions, in a relaxed and curious way. The proposals are different every day and guests never know the menu, letting themselves be guided by the inspiration of Chef José Pinto. After lunch, you will discover Quinta Nova, Nossa Senhora do Carmo. 250 years ago, the traditional Quinta Nova winery, owned by the Amorim Group, was harvesting its first grapes. This is undoubtedly one of the oldest wineries in the Douro region, producing port wine for the Quinta and for many other plots of neighboring farms, given its large size. You will have a guided Tour through the vines, winery dated from 1764 and the underground cellar. The visit ends with a tasting of 3 wines at the wine Shop. Enjoy a pedestrian circuit with 3 different routes, properly signed, in a certified total trail of 8km's. With a map and a list of conduct rules, clients are able to enjoy this activity, knowing a wine estate to detail, highlighting its historical points. And, crossing the orchards, make sure you pick some fresh fruit! In the morning we will take you to Real Companhia Velha's crown jewel and the largest wine producing estate in the Douro region, Quinta das Carvalhas. A property of immense beauty and grandiosity whose oldest written reference date back to 1759. This is one of the most emblematic Douro properties and it is considered by many the "Douro image" because it allows a view of the territory and of the most beautiful Douro has to show. Nowhere else you can see so much in so little time. The mountain of Carvalhas, at 550 meters of altitude and from where you can enjoy a landscape in 360 degrees, is the site of "excellence" for the observation of the property and Douro. The Vineyard Guided Tour is a visit to the Vineyards accompanied by Quinta das Carvalhas guide. Appreciate a direct contact with nature in the vines, mediterranian forests and gardens, alongside the people who work them. We offer the chance to see the Douro thorugh the eyes of a local and to relish the greatness of the region with a detailed explanation of everything happening at the Quinta. The tour finishes at our wine shop for a tasting of a white, a red and a Port paired with local cheeses. Throughout the EN222 Road, elected the best road to drive by AVIS rent a car, you will enjoy the best views by the riverside. After the wine experience you will enjoy a magnificent exclusive cruise on the Douro River. On board the Libertu's sailboat live moments of intimacy with nature as it travels emotionally through history to the times when the Rabelo boats moved through the force of the sails. Libertu's is a 10, 5 meters (34 ft.) Dehler sailing ship with a 14 meters (45 ft.) mast and with a maximum capacity for 12 people and is luxuriously equipped with 2 rooms, a lounge area, kitchen and WC. Be amazed by the scenarios that Douro has to offer. Near the Pier, Dinner is waiting for you at DOC Restaurant. Situated in Folgosa, Armamar, on the road between Régua and Pinhão, in what is one of the most beautiful scenic routes in the country, the restaurant occupies a building of contemporary lines with a picket based that extends along an elegant wooden deck overlooking the river. It is a place of enormous beauty, blending the magnificence of shale hills covered with vines with the stillness of the Douro river and the serenity of lakeside villages, only awakened by the regular passage of the train. DOC operates as an open window on this breathtaking scenery, which makes every meal a unique and special moment. The menu is prepared to meet the expectations. The Chef Rui Paula organizes everything in detail, always adding an element of surprise, so as to make the celebration unforgettable. Breakfast at the Hotel followed by Check-out. The Private Driver/guide is waiting for you in the Lobby of the Hotel. You will enjoy a cultural break in Lamego. The culture, architecture, heritage, historical center justify a visit. The Lamego Castel, within the urban area, Ex-libris of the town, from the top of its walls can be sighted the waters of the rivers Coura, Balsemão and Varosa. The construction of the castle began in the 13Th Century with the goal of protecting the city inhabitants. In the 17th century, a niche in homage to Our Lady Nossa Senhora da Graça was erected. Then, you will visit the Lamego Museum. An astounding collection of ancient art and artifacts, including a fully reconstructed chapel dripping with gold, is displayed within the walls of an 18th century bishop’s palace. Among the many highlights are the set of paintings by one of Portugal’s most renowned painters, Grão Vasco, 16th century Flemish tapestries that depict the Greek legend of Oedipus and colorful 17th Century panels Azulejos (paited tiles). Nearby is the Lamego Cathedral, a succession of different styles from various periods can be seen on both the outside and inside of Lamego cathedral, and yet, despite this, the building as a whole exudes a sense of beauty and monumentality. The tower windows are the oldest surviving feature, with their delicately carved capitals providing one of the finest examples of the twelfth-century Romanesque style of architecture. In 1738, Nicolau Nasoni was commissioned to paint the vaulted ceilings. The brightly-coloured and well-preserved frescoes taught those worshippers who could not read or write about various episodes in the Old Testament. And in the chancel of this ancient church, there is yet another delightful highlight: an eighteenth-century marble and gilded altarpiece and two beautiful organs dating from 1753. Finally, the Shrine Lady of Remedies in Lamego. From one of the central avenues in Lamego, climb to the top of the hill up an imposing baroque staircase with 686 steps ending in a shrine built in the rocaille style in the mid-eighteenth century for the worship of Nossa Senhora dos Remédios, although it was not completely finished until 1905. The same Nicolau Nasoni who painted the cathedral ceilings designed some of the baroque works that decorate this monument, in particular a very beautiful granite fountain next to the shrine itself. Various landings enrich the monumental staircase with interesting sculptures, making the long climb of the pilgrims less arduous. The Private Driver will drop you off at Porto Airport (OPO) or city of Porto. "We have already recommended this Tours to several people, as we thought it was a good value for the experience and very well organized. I'm sure we'll be repeat customers again too! Thanks for such a good trip."